Pollution is waste that is harmful to the environment. Life has always produced waste but in biological systems one organism’s waste is food for another organism. In this system all waste is biological and is recycled. Humans are continually creating waste that is non-biological (synthetic, radio-active) and cannot be biodegraded, the world is becoming more and more polluted as these wastes accumulate in the soil, waterways and in organisms themselves. Pollution is defined as anything that makes an environment harmful or unpleasant for living organisms. Waste is created by all lifeforms. However humans, due to shear numbers and our modern, industrialised lifestyles, have created more waste than nature can cope with and in some cases we have completely devastated whole ecosystems. Solid, gaseous and liquid waste create serious problems for humans and the environment if they are not treated, transported and managed safely. Waste is generally defined as hazardous or as non-hazardous. Hazardous and toxic chemicals are generated by industry, agriculture, homes and the environment. There are three major classes of hazardous waste: biological, chemical and radioactive. Biological waste is composed of organic molecules – this can include anything from kitchen scraps to animal and human wastes. This type of waste may be infectious or otherwise hazardous to the health of humans and other organisms. Therefore it must be properly treated and specially handled. Non-infectious, non-hazardous biological waste can be disposed of using standard methods of rubbish disposal. However decomposing biological waste does generate greenhouse gases, methane in particular. Chemical wastes are inorganic. They are usually man-made chemicals but they also include naturally occurring metals like mercury and lead that are highly toxic and mined for use in paints and other compounds. There are many sources of hazardous chemical waste including: batteries, construction debris, natural gas, fossil fuel combustion, industry waste, pesticides, herbicides, fertilizers, medical facilities, crude and used oil. Well known chemical hazards include DDT, 245T and Agent Orange. 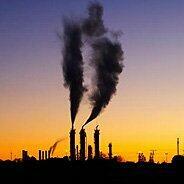 Also the greenhouse gases like carbon dioxide and methane are chemical wastes. Radioactive (or nuclear) waste is the by-product from nuclear reactors, fuel processing plants, and institutions such as hospitals and research facilities. Land, water and air can be affected by radioactive contamination. Because these wastes may take up to thousands of years to decay and become safe it is a real concern that they are stored responsibly for the long-term. When solid waste does not pose a threat to the environment or human health it is classified as non-hazardous. Nonhazardous wastes are generally disposed of through municipal landfills, recycling facilities, incinerators, construction landfills and compost facilities. Wastes such as paints, plastics, spill residues, latex and rubber products are considered to be non-hazardous! Therefore responsible waste processing facilities handle non-hazardous waste as carefully as hazardous waste.